(HELENA, AR) — A veritable Who’s Who of icons, legends, today’s hot finds, and tomorrow’s trend setters Wednesday, October 9 through Saturday, October 12. Four days of bliss on the banks of the Mississippi in historic Helena, Arkansas, will see more than 100 performers ranging from legacy icons to tomorrow’s stars on six stages, taking fans from around the world on a journey that brings the legacy of America’s music to life. 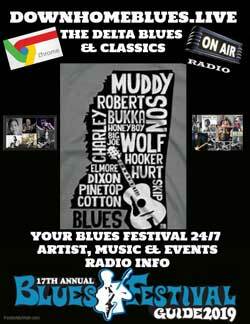 The blues were born in Helena’s fertile delta mud, and the festival is built on a heritage that dates back 78 years. 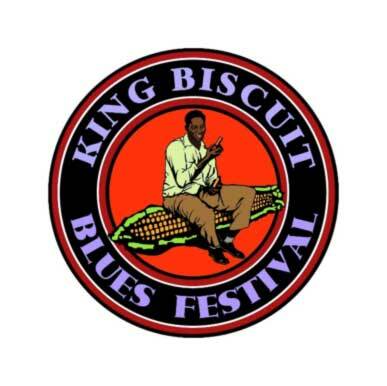 Live blues radio started here with Sonny Boy Williamson II and the King Biscuit Boys on KFFA’s King Biscuit Time radio show in 1941. And the threads of that legacy are woven through this year’s lineup. More than half a century into his career, Delbert McClinton is a transformative live performer. 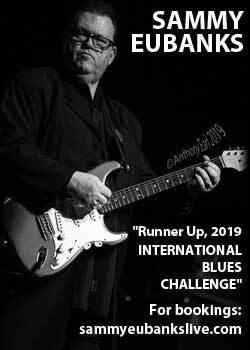 He’s earned two GRAMMYs in the blues category; he taught John Lennon how to play harp; he duets with Bonnie Raitt on “Good Man, Good Woman,” which won a GRAMMY in Best Rock Performance by a duo or group. 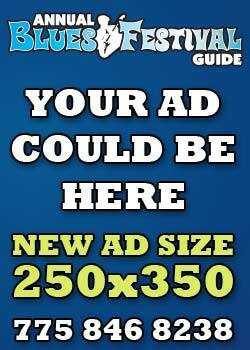 “Giving It Up for Your Love” was number 8 on the Billboard Hot 100 chart and number 35 Adult Contemporary. His duet with Tanya Tucker went Top 5 Country. But more important than that, he gives his audience an out-of-body concert experience. His version of “Standing on Shaky Ground” has been stopping shows for decades. 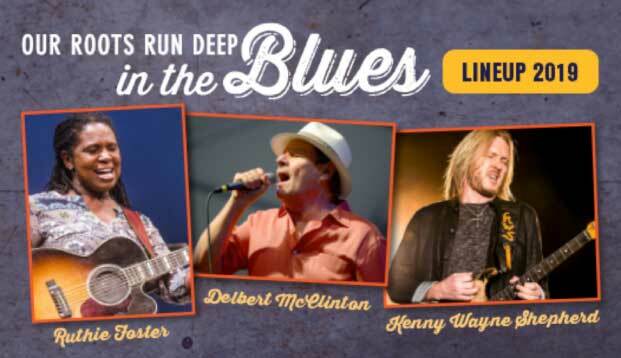 The relationships between artists playing this year and iconic bluesmen from the past is evident throughout the lineup. Thursday will feature Cedric Burnside, the grandson of R. L. Burnside, who was the patriarch of the Delta’s Hill Country blues. 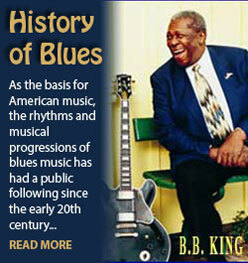 Cedric’s Benton County Relic was nominated for this year’s Best Traditional Blues GRAMMY. Bob Margolin was Muddy Waters’ lead guitarist and the only original musician participating in the 2017 Last Waltz 40th anniversary tour. His appearance with Bob Stroger and Kenny “Big Eyes” Smith is the closest we’ll get to that incomparable Muddy Waters sound. Billy Branch played harmonica for Willie Dixon’s band. Big George Brock watched Muddy Waters dive into the Mississippi the day he broke away from the Stovall Plantation. Larry McCray tempered his Motor City guitar style with memories of sitting outside of an Arkansas church as a kid listening to the gospel music. Twenty-eight-year-old live blues sensation Marquis Knox brings the electric blues styles of Muddy Waters into the 21st century. 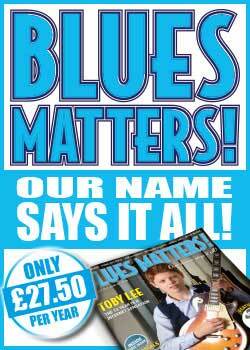 His debut album Manchild was nominated for a Blues Music Award for Best New Artist Debut and earned Living Blues’ Best Debut Artist Award and a Blues Music Award nomination for Best Debut Artist. His second album, Here I Am, was recorded at the legendary Blue Heaven Studios in Salina, Kansas. Paul Thorn all but stole the show from B.B. King at King Biscuit in 2010. He returns this year for his ninth consecutive appearance. His 2018 album, Don’t Let The Devil Ride, debuted in the Billboard Top 100 the first week of release. 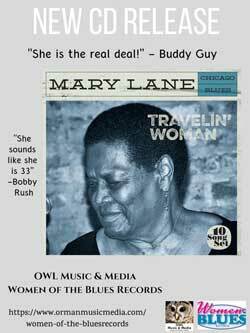 For those searching for Chicago blues, there’s Jimmy Burns, Billy Branch, Mary Laine, D.R. Diamond & Birthright Blues Project, and The Lindsey Alexander Band. Raw Texas guitar has its place as well with Anson Funderburgh and Kirk Fletcher. Memphis sounds have a strong presence as well with Reba Russell, Wampus Cats, The Mighty Souls Brass Band. The Front Porch Stage is under the auspices of the Delta Cultural Center, and this year celebrates the fifth anniversary of its Blues Bash. Lineup for the Front Porch Stage includes GRAMMY-winning artist Mr. Sipp, aka “Mississippi Blues Child,” and Kenny “Beedy Eyes” Smith. There is no admission fee to this stage. SBBS IBC Bands Winner – 12:00 to 12:50 p.m.
Cedric Burnside Band – 1:10 to 2:15 p.m.
Sterling Billingsley Band – 2:35 to 3:40 p.m.
Chris O’Leary Band – 4:00 to 5:10 p.m.
Zac Harmon Band – 5:30 to 6:40 p.m.
Billy Branch & The Sons of Blues – 7:00 to 8:10 p.m.
Front Porch Blues Jam hosted by Brotha Ric Patton – 1-3:00 p.m.
Six String Andrew – 9:00 to 9:30 a.m.
Grace Kuch – 9:45 to 10:15 a.m.
D.R. Diamond & Birthright Blues Project – 10:30-11:00 a.m.
Jamiah “Blues Superman” Rogers Band – 11:15 am-12pm. Veronika Jackson – 1:00 to 1:45 p.m.
Wampus Cats – 2:10 to 2:45 p.m.
CW Gatlin Band – 3:00 to 3:45 p.m.
Spoonfed Blues ft. Mississippi Spoonman – 4-4:45 p.m.
Charles Woods Band – 5:00 to 5:45 p.m.
Fillmore Slim – 6:00 to 7:00 p.m.
Eb Davis – 7:20 to 8:30 p.m. 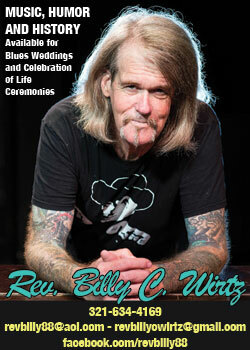 Mighty Souls Brass Band – 4:00 to 4:45 p.m.
Excelleauxs Blues Band – 5:00 to 5:45 p.m.
Mary Lane Band – 6:00 to 6:45 p.m.
Rev. 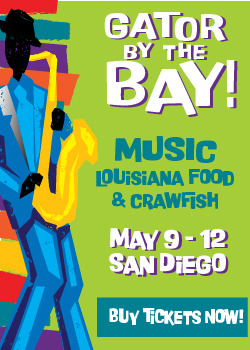 John Wilkins Band – 7:00 to 7:45 p.m.
Jimmy Burns Band – 8:00 to 9:00 p.m.
Big George Brock – 12:00 to 12:55 p.m.
Altered Five Blues Band – 1:10 to 2:10 p.m.
Greg Martinez – 2:30 to 3:40 p.m.
Reba Russell – 4:00 to 5:10 p.m.
Anson Funderburg & The Rockets – 5:35 to 6:45 p.m.
Paul Thorn – 7:10 to 8:20 p.m.
Clarence Davis with Jock Webb – 2:00 to 2:45 p.m.
Frank “Guitar” Rimmer Band with Cadillac John 3-3:45 p.m.
Miz Renae – 4:00 to 4:45 p.m.
Brotha Ric Patton & Chicken Bone Reunion 5-5:45 p.m.
Marquis Knox Band – 6:00 to 7:00 p.m.
Quon Willis – 2:00 to 2:45 p.m. Blind Boy Paxton – 3:00 to 3:45 p.m.
Phillip Stackhouse Band – 4:00 to 4:45 p.m.
Linsey Alexander Band – 5:00 to 5:45 p.m.
Tyrannosaurus Chicken – 6:00 to 6:45 p.m.
Alice Hasen & The Blaze – 7:00 to 7:45 p.m.
Oxford Allstars – 8:00 to 9:00 p.m.
Marcus “Mookie” Cartwright – 12:00 to 12:55 p.m.
Kenny “Beedy Eyes” Smith, Bob Margolin & Bob Stroger 1:10-2:15 p.m. The Cate Brothers – 2:35 to 3:40 p.m.
Andy T with Alabama Mike – 4:00 to 5:10 p.m.
Kirk Fletcher – 5:30 to 6:35 p.m.
Larry McCray – 6:55 to 8:10 p.m.